Tinos is an island in the Cyclades that is tucked a bit out of the way. 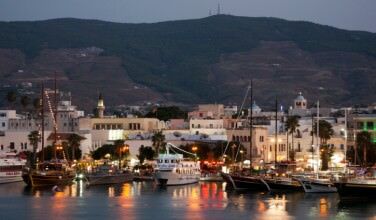 In fact, there is no airport here which means that visitors and inhabitants alike have no choice but to arrive here by ferry. The extra step, however, is worth the effort. 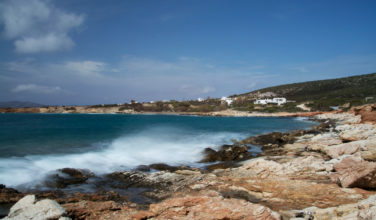 Tinos is a hidden gem and once you’re here you’ll enjoy everything the island has to offer. Consider taking a flight into the Mykonos Airport to cut down on your time in the ferry, and from Mykonos, you can take a ferry to Tinos. Otherwise, you’ll need to check the ferry schedules from wherever you originate in Greece. There are a few reasons why you’ll want to visit the Church of the Virgin Mary on Tinos. First, it is a fine example of a typical Greek Orthodox Church. When visiting, be sure to observe the customs and dress properly for being in church. Ask at your hotel or resort for more details as to the proper way to dress. This church is also the home to a famous icon and people often pilgrimage to Tinos for the sole purpose of glimpsing the icon. The church itself was built in 1823 by a Greek architect who came from Smyrna, and the church itself was built using some of the best marble that could be found on Tinos, Delos, and other Greek islands. This only adds to the splendor of the church and gives the building a fresh feeling. As mentioned above, once you arrive at the church, you’ll want to make sure to visit the famous icon. The Miraculous Icon of the Virgin Mary and its story is directly tied to the construction of the church. In 1822, before construction began, a nun who came from Pelagia believed that she was divinely inspired to encourage people to dig in a certain spot to build the church. The icon was found while the people were digging. The icon itself is still on display and visitors can pay their respects after waiting in a line. Depending on the time of year you visit the church, the line can get rather long. 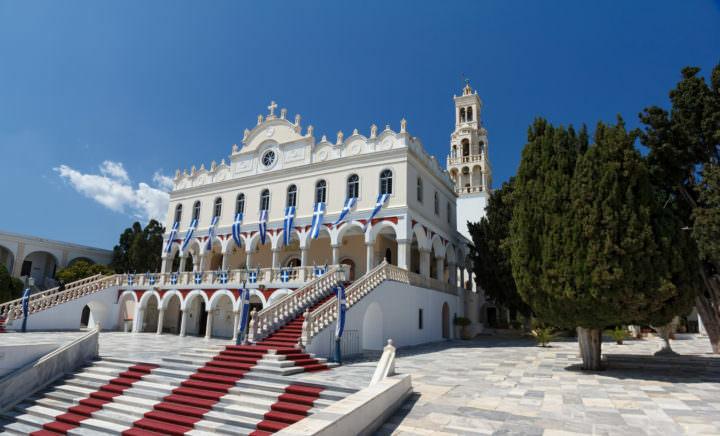 While visiting the Greek island of Tinos, you won’t want to miss the chance to visit the Church of the Virgin Mary and also pay respects to the Miraculous Icon of the Virgin Mary.